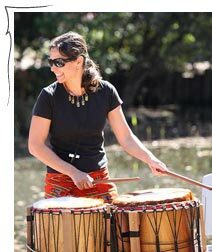 A workshop involving traditional stories, improvised group stories and rhythms galore. Get a drum and let the talking begin! 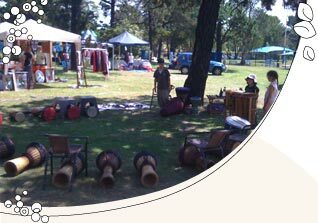 A drumming workshop that gets everyone started. Children, parents, community, everyone with an instrument, a dance move and a smile.